Built: 1919, McDougall and Duluth Shipbuilding Company, Duluth, Minn. Owner: Stockard Steamship Company, New York, N.Y.
Caribsea rests in 85 feet of water, approximately 15 miles northeast of Cape Lookout, N.C. 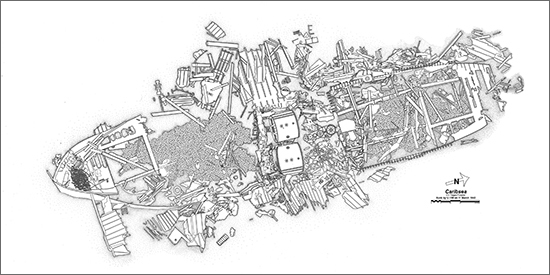 The wreck is contiguous, largely intact, and sits on a flat, sandy plain on the continental shelf. The shipwreck lies near the western margin of the Gulf Stream making it subject to changes in current velocity and direction. 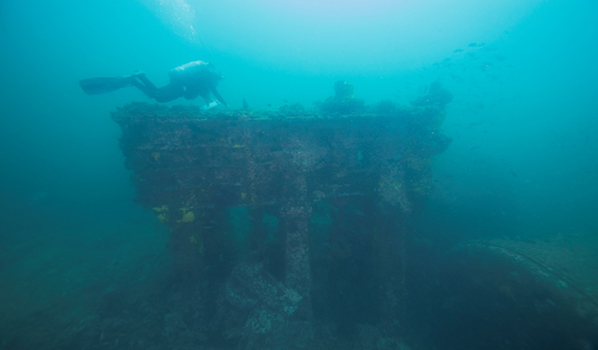 The shipwreck measures 230 feet long by 60 feet wide with 20 feet of vertical relief. 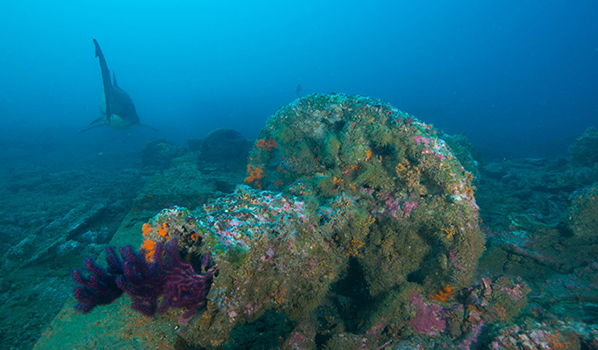 Visibility at the wreck site averages 60 to 80 feet year round. 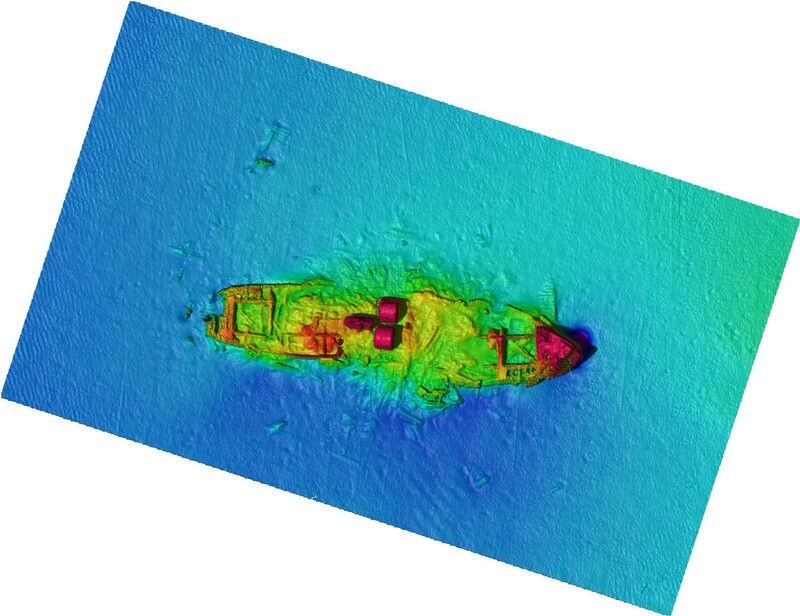 The main features include the intact but collapsing bow and stern sections, which lie sitting upright on its keel, along with the triple expansion engine and two Scotch boilers that are both located amidships. 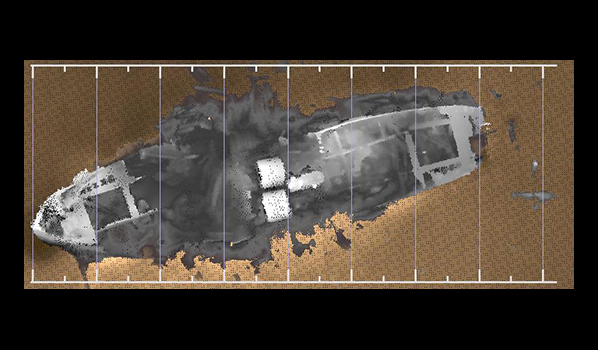 The shape of the hull is recognizable due to the outer hull plating and framing that rises up in some areas of the site 15 feet from the seafloor. In addition, Caribsea is a popular diving destination and sustains a rich marine ecosystem, including various types of micro and macro organisms, algae, coral, fish and marine life. 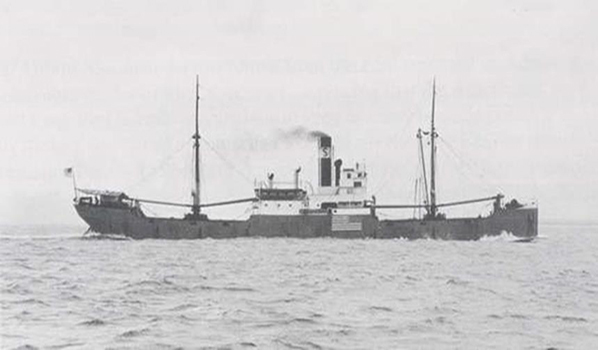 Caribsea was built in 1919 and classified as an ocean-going cargo ship, one of fifteen identical Laker-style steamships. On March 2, 1942, Caribsea departed from Santiago, Cuba bound for Norfolk, Va., with 3,600 tons of manganese ore. Under the darkness of night on March 10, Caribsea approached Cape Lookout as it traveled north with its heavy, combustible cargo. The ship slowed down in order to follow its directive to pass Diamond Shoals in the daylight, but at the same time, U-158 positioned itself south of Cape Lookout with the hopes of spotting merchant targets. Shortly after 2:00 am, on the morning of March 11, 1942, Caribsea was suddenly struck by a torpedo, and the vessel began to sink. As seawater flooded the foredeck, the alarm sounded to abandon ship. There was no time to launch the lifeboats as the ship sank in under two minutes. 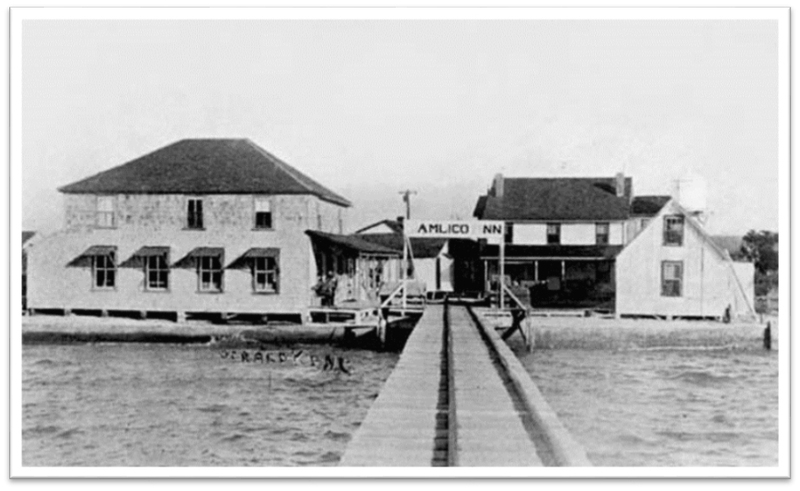 The men had no time to do anything other than to get out of their bunks and jump into the ocean. Survivors clung to the oily wreckage surrounding them, and after drifting for approximately ten hours, the seven surviving crewmembers of Caribsea were spotted and picked up by the steamship Norlandia. Following the sinking of Caribsea, Chris Gaskill, a native of the Outer Banks, was walking along the beach on the south end of Ocracoke Island on March 14 when he spotted something in the surf. Chris discovered it was a frame holding a certificate. When Chris read the document, he was surprised to find the license belonging to his cousin, Jim Gaskill, third mate on Caribsea, thus, confirming for the community Caribsea's tragic fate. The next day, the Gaskill family was met with yet another eerie occurrence. An out-of-town guest staying at the Gaskill family owned Pamlico Inn came across a floating piece of wreckage bumping up against one of the pilings off the inn's pier. On the wreckage was the name Caribsea etched on the side. 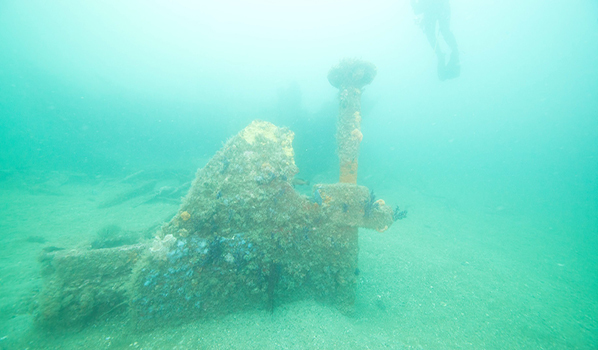 An avocational diver group, Battle of the Atlantic Research and Expedition Group (BAREG), worked with NOAA staff archaeologists to create a site plan with focus on feature and artifact identification.